Nice… is a rather tame word that one could use for the jacked up V60 called the Volvo V60 Cross Country. Now you couldn’t call this a pure SUV, but the higher ride height, skid plates and flared wheel arches enable the new V60 Cross Country to tackle gravel roads, muddy fields and ski-fields in much the same vein as a Subaru Outback or Honda CR-V. Having one of these parked in my garage would be a comforting and pleasing thought – it is that good. I like the smooth and efficient performance of the 134 kW, turbo-diesel, D4 engine, as excellent fuel economy keeps it at the head of the pack. Mated to a cruisy six-speed auto, the V60 Cross Country is an effortless traveller out on the open road, and it is very easy to cover the miles. The other alternative is the punchy T5 Petrol engine, and the inline five-cylinder engine with a turbo attached does a marvellous job at traversing our large Continent. A grunty note is audible from under the bonnet when the engine is poked and prodded to get some quick acceleration. Effortless performance, and a smooth six-speed auto also create the perfect mix for comfortable touring. A maximum of 360 Nm is available from as low as 1800 rpm with the T5. So, take either V60 Cross Country versions fully laden on a long journey and you’ll be pleasantly satisfied with the high speed potential, road holding and excellent cabin comfort. 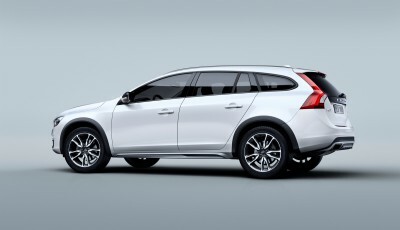 The V60 platform sits the Cross Country in the medium-size wagon bracket. It is a great size for a small family, but it’s probably best to check out the V70 or XC Volvo models if you want real load lugging abilities in the traditional Volvo sense. A useful 430 litres of luggage space is handy when the rear seats are in place, but it probably won’t sound as great when I mention that the new little Volvo V60 Cross Country offers 450 litres! Hill Descent Control is a standard feature, so if you want to head off-road then there is quite a useful array of AWD technology underpinning the Cross Country. The Haldex on-demand variety works very well on gravel and other slippery surfaces – as you would expect from a Swedish designed machine. Interior comfort comes in the form of some very comfortable leather upholstered seats. 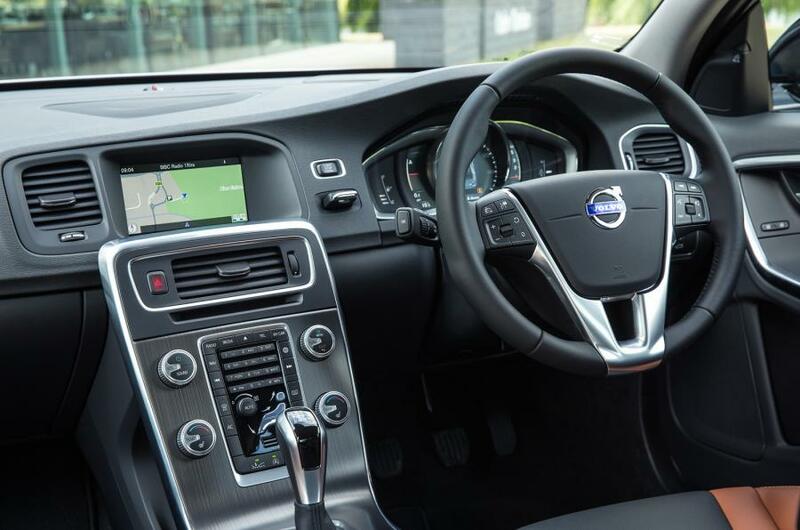 It’s very easy to get yourself comfortable behind the wheel, when the steering wheel and seats are multi adjustable. Safety is a premium in the Volvo brand, so you’re talking about the best available features on a car to date when you get behind the wheel of a new Volvo vehicle. All the active safety equipment includes adaptive cruise control, collision warning, driver alert, blind spot and cross traffic alert. Volvo’s City Safe low-speed autonomous braking is a standard feature on a new Volvo V60 Cross Country. There are two integrated booster seats for small children and Isofix fittings as standard. Satellite navigation, parking sensors, a rear view camera and active bi-xenon headlights are excellent features. It’s very hard to find any negatives with the V60 Cross Country drive, but perhaps the luggage carrying ability is a little on the small side. However, if you need more space there are other Volvo models with AWD and a high ride height that will suit your need. For any more information on the Volvo V60 Cross Country, or for that matter any other new car, contact one of our friendly consultants on 1300 303 181. If you’d like some fleet discount pricing (yes even for private buyers! ), we can submit vehicle quote requests out to our national network of Volvo dealers and come back with pricing within 24 hours. Private Fleet – car buying made easy!